My people, I have a testimony oh. This God is too good. My testimony goes thus. Yesterday evening my dad was burning things near the generator house (just imagine that, near generator house oh). Anyway according to him, he said his spirit told him the fire would spread, so he went back to the fireplace. He said he saw nothing out of the ordinary and meanwhile we were on our way to church. A friend of mine called me and said she’s on her way to our house, I told her babe don’t come today, we are going to church. She insisted that she was already on the bike. As we were about to leave, my dad then said my younger brother should wait so she would meet someone at home. During the service, church security came to ask me where my father was, that someone was outside the church and wanted to see him, that there’s an emergency at home. Only for me to see my friend I asked her what’s the issue, she said there’s fire in the house. We rushed home; the fire had spread to our store. But by the time we got home, neighbours had helped to put the fire out. Our saving grace was that there was someone at home. 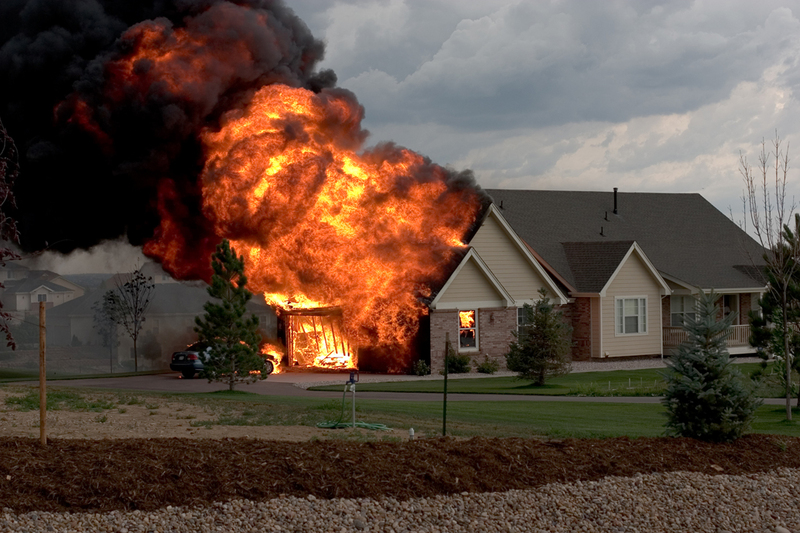 If my friend hadn’t insisted on coming, there would have been no one at home, and the fire would have spread to the house. My brother, who was home, tried putting the fire out and when he couldn’t he called for help. We have the most amazing neighbours. They all mobilized to put the fire out. They brought buckets from their houses, arranged for omo to pour in the fire, and got a hose to put it out. The neighbor at the back of our house was pouring water from their own house. The love was so amazing. There’s serious harmattan in Abuja now, so it was pretty easy for the fire to spread, but how it didn’t spread to the generator house, beats my imagination. If the generator house had cut fire, the fire would have spread to our neighbour’s house and inevitable entered our house. As I was relating this testimony to my sister (she’s in school) she said setting a fire near the generator house, is like waking the devil that was sleeping and saying oya devil come attack me, I’m available. Lol; funny but true. God is gracious, He is abounding in mercy, He knew my father would set a fire, He knew it would spread, so he sent my friend on the way to our house. If not for her coming, no one would have been at home, and ultimately our house would have burnt down. I saw God’s love in rare form yesterday, His love for us is amazing. If not for his deliverance, my family would have been singing a new song. Where would we start from? But the Lord did not allow the enemy to laugh over us. So this is my testimony if you have any kindly share with us. Have you had any experience with fire before? kindly share with us. Have a beautiful day everyone. God bless you. SHOULD YOU BE FRIENDS WITH AN EX? Wow fire incidence is really a bad thing especially in this tight economic situation. We thank God for His abounding love and mercy.